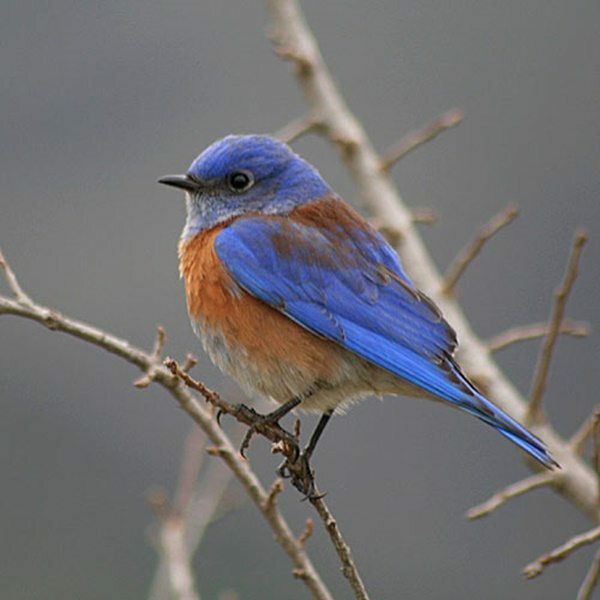 The Eastern Bluebirds arrived in Whistler’s Vineyard this week! They left their winter homes and are here to announce spring! 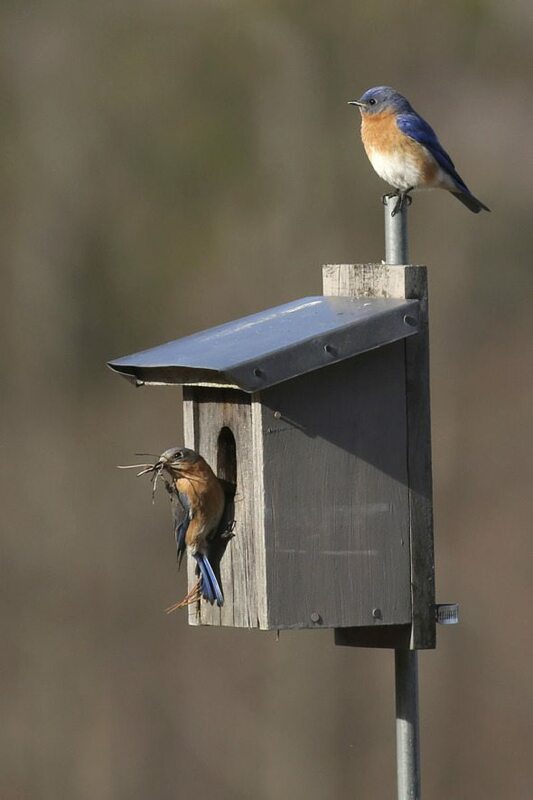 With the help of the Bluebird Restoration Association of Wisconsin (BRAW) the populations of these beautiful birds are increasing throughout Wisconsin. Volunteers installed nest boxes a few years ago throughout our vineyard. They monitor them weekly during the breeding season to count how many pairs are laying eggs in the nest boxes. Once the eggs hatch, they count the fledglings (babies), and then leave them alone until they leave he nest. If we are lucky, each pair will raise two families this summer. Bluebirds love open spaces, so the environment in our vineyard is very attractive to them. They show their appreciation by eating thousands of bugs, but do not bother the grapes.